(This post has been stickied to the top) View the Archive for most recent posts. Greetings, my name is Noctis Enoch, and I am the founder of REALITY MAGI. In 2007, I obtained the book “Nostradamus Code: World War III”. The Final Chapter is about “The Great Genius”. The first page says “2006 to 2012”. 2006 was “The Year of Acceleration” according to Joseph Prince (Senior Pastor of New Creation Church). Back then, it was indeed such a year for me. I greatly accelerated in my spiritual awareness and understanding of consciousness, reality and the universe. My Website http://www.MindReality.com was started near the end of 2005. In February 2012, I had the inspiration to start a new website as a means of further sharing my thoughts. I thought of many domains and I found that the GreatGenius.com was not in use. That was amazing, considering the fact that there was quite a significant amount of searches for the term “Great Genius” (5,400 Global Monthly Searches as stated by Google Keyword Tool) and a number of places that talk about The Great Genius that Nostradamus mentioned. GreatGenius.com was sold as a premium domain at $1,788.18 USD. I decided to claim that domain as my own since there are many things described about The Great Genius that seems to reflect myself, and I believe this domain has been reserved by The Universe/God for me to make use of. Hence, the Great Genius website is born on 2012 February 9. This is an Aquarius Website. [Nostradamus describes the coming of a great scientific genius that will help rebuild human society. From CENTURY IV-31: "This man...will be one of the highest, most developed geniuses ever to appear in our present history of man. He...made the decision to use his genius to help rather than to hurt mankind...One of the things he envisions...is self-contained, self-supporting space stations...It was very easy for him to spot this man along the nexus of time paths because he creates such a large ultimate effect...This man is one of the major forces who will help the earth recover from the scars of war." [Seth is a ‘disincarnate being’ (an entity of consciousness from another dimension, not presently incarnate in human form). His teachings are ‘channeled’ via a psychic called Jane Roberts (see “Seth Speaks’ by Jane Roberts, published by Bantam). Seth’s take on the Aquarian Age is that there will be a ‘second coming’ of Christ, though Seth intriguingly describes Christ as an ‘entity’ who has also taken other roles at different times. Two characters will pave the way for him, one who has already been born in India, and another, a black man, who will do his main work in Indonesia. The Seth material is fascinating – it offers a ‘new age’ slant on the original bible stories, and describes the coming of an age where our psychic abilities will enable us to make a great leap forward in terms of our relationships with each other, the planet, and our personal capabilities. Our time boundaries will dissolve so that we will be conscious of not only our own past lives, but also those of other people too, such that we will not feel so isolated and will come to understand that ‘we are all one’. This will cause a great advancement in the quality of our relationships with one another. All of this is a fascinating discovery! I deal with Integration of All things to do with the Mind and Reality, which is basically everything that is to be known about the Universe, Consciousness and Reality. Unified Knowledge is the Key to complete awareness, and totality of knowing. Henceforth, I declare this to be the start of the reign of Genius. Perhaps “The Great Genius” might be an individual. Or perhaps it is an Archetype and there may be more than one person who can be part of “The Great Genius” gestalt consciousness. Mind Reality is for the purpose of elevating The Genius (Genie-In-Us). After all, who we really are, is Genius God Creators of Our Reality. "The SHORTEST Path to Getting Everything You Want In Life is by finding information that explains how the universe works." "Mind Reality" is the BEST website in the world that contains the GREATEST SECRETS to ALL of The MOST Important Things in Life! You'll Never find such information ANYWHERE Else that is expressed in such a Unique, Authentic and Powerful manner! You can Download FREE Ebook: "Matrix of Mind Reality"
On Saturday 25 April 2015, in meditations and prayers, I saw the seven plus one events that have shaken all the heavens and the earth and changed it. The first event was the creation of heavens and earth. God came forth from the God dimension and manifest as the Word made flesh. At first it was just God and the Word and this was the beginning of creation that John 1:1 talked about. The Word was in the beginning with God and the Word was God. Then there was a movement of energies and light. It was more like an explosion but because it was harmonious and musical I called it an explosive movement of sounds, lights, energies, plasma, dimensions and creations. Every movement produced life and all of the heavens and the earth were created. I remembered the first amongst the creations were the twenty-four Elders, the foundations of the Universe and immediately were the worship beings to contain the energies released through worship, then all the Angels and Spirit Beings simultaneously. All light, life and love filled the Universe and the whole Universe was like a song in which God composed and sang. All this movement was like God through the Holy Spirit, which had Seven Harmonies (Seven Spirits) sang. Even though creation was perfect with the life and song of God, every single spirit being had consciousness and continue to enjoy existence in contributing to the creation to make it more complex with varying life forms and sub-energies. It was like the Angels and Spirit Beings took what was God’s life and energy and continue creating wonders of myriad creations that filled the planets and worlds. At all time, only God was the I Am while all creation flowed as that which was dependent on the I Am. The Holy Spirit filled all the Universe and imbued it with spirit and the life of God that proceeded from the Ancient of Days, the Word manifest as the Father. All creation progressed and grew in continual perfection until Lucifer began to think that he was the I Am, the self-existing one. He taught that he could be the centre of the Universe. It was like fallen humans who never see God and concluded that God did not exist and that they were the top of the evolution chain of earthly life. Satan thought that all things existed as it was and the manifestation of the Ancient of Days was just a phenomena in which he could manipulate for his own self. The moment this came into him, when he wanted to be God and replace God, darkness began. Darkness is the cutting off of light. He started separating himself from the source of life and darkness was found in his heart. It began to spread to those under him but in his attempt to persuade all other Angels to make him their leader, he commanded those Angels who had given him allegiance to leave the created Universe and go beyond the borders of creation to create a new Universe. To his surprise, those Angels and Spirit Beings ceased to exist. Immediately, there was a separation of the Universe into three sections: the pristine (which was the larger section), the boundary section, and the warring section where rebellion had taken place. Just prior to the Lucifer’s heart becoming dark, God had already assigned a group of Angels to boundaries and the time it took Lucifer to persuade others to follow him and his demise when he tried to persuade the rest of the Angels to follow him was about a million years (but about a billion years our time as a day in heaven was like a thousand years because of the activities possible). Comparatively, before the fall of satan the Universe had existed in a pristine state for billions of years (trillions of years in our time). There were activities and the pushing back of worlds and solar systems, and the identification of them as to where they belong. The angelic rebellion shook the whole Universe and infected it except for the pristine section which God had separated out. There were gigantic beings who hold systems of stars together who remain incorruptible (for example, like the planet earth, if considered a being, is in itself not corrupt although the individual life forms existing on it became corrupt – that is why the earth groans). In the judgment of satan, who had made the earth his headquarters, two of the moons of earth were destroyed. Satan rebelled outside of the earth’s solar system but made the earth his Headquarters because he noticed that God had sent Uryaluzzael to planet earth. It was like Uryaluzzael was capable of being of entire star systems with their planets but reassigned to just one planet. Thinking that this planet earth was important to God, he made it his Headquarters. God by foreknowledge had already had plans for planet earth in revealing his fourth dimension (Revelation of Christ) but before God could reveal more of Himself, Lucifer had rebelled and became satan. All these were sealed in the Scroll with seven seals and in the Lamb’s book of life from the foundation of the earth. The rebellion of satan was the second great event that affected the Universe. The third major event was the re-creation of the planet earth. Satan and his fallen angels had been judged and the whole Universe remained in a state of three sections: the pristine and the warring section with the boundary section in between. The warring section had been cut off from the light which was the life of God. In Genesis when God said ‘Let there be light,’ light flooded the whole warring section once again. All creation was amazed when they saw the earth restored into a pristine state and the creation of man began. It was almost like God had this on schedule and despite the rebellion of fallen angels, God was continuing His plans to reveal Himself. Of course, some including satan, thought it was only the restoration of the fallen section to its former pristine state. All the creation that was dedicated to mankind – the animals which Adam named – was not just for planet earth but it was to fill the whole section of worlds in the warfare section. It was also the first time that creatures like Adam were split into male and female components but yet given authority and power to effect its mark on creation. Angels and spirits have no gender and it was a wonder to see Adam, who was like an angel before Eve came out of him, becoming male and female in its perfect state. However, within three days (though it was like three thousand years) satan, through the serpent that he planted into the Garden of Eden, caused Adam and Eve to fall. When Adam and Eve fell, it was like all their DNA of their spirit, soul and body was affected. Death came. This major event affected all of the warfare section again and the fall was felt in all the warfare section of the Universe. All the enemies of God were in evil glee as they made use of all the resources that God had given to Adam to forge a new rebellion against God. However, God continued to send His Angels who were all redeployed into different responsibilities when Adam and Eve fell. The story of redemption then progressed as written in the Bible but watched by all the Universe. The fourth major event was the coming of Christ to the world. All the Angels and Spirit Beings were amazed at the revelation of God in the fourth dimension (The Word made flesh). Not all the Angels understood what was happening and the earth had all the attention of the Universe during the manifestation of the Word in the flesh living on planet earth. The whole Universe shook and vibrated over every event in Jesus’s life. The pain that Jesus felt at Gethsemane was felt throughout the Universe. At the cross, the whole creation shook. If Angels and Spirit Beings could weep, that would have been the most heart-wrenching moment to see the fourth dimension of God taking death onto Himself. I weep as I write this for no sorrow on earth or in the Universe can describe the silence, the awe, the earth-shattering, the Universe-shattering silence of the six hours of Jesus our Creator dying on the cross. Every atom in the Universe wept. It was simultaneously the same event in Revelation 5:2-4 when no one in the entire Universe was found worthy to open the scroll with seven seals. No one could bring the Universe as it existed forward to continue the progress that God the Father intended progression to be made. No one could resolve and remove the stink of evil encrusted into the fabric of the fallen section of the Universe. Only Christ Jesus dying on the cross, taking on death, absorbing all evil, sin and death could purify the Universe. The twenty-four Elders could not weep nor do Angels or Spirit Beings have the ability to cry watching Christ on the cross. Only the human race had the ability to express the sorrow felt in the Universe at the moment of Christ’s suffering and death on the cross. So I wept. So John the apostle wept. We weep for the twenty-four Elders who could not express the sorrow in tears. We weep for the four living creatures who could not express their sorrow in tears. We weep for the Angels and the Spirit Beings who could not express their sorrow in tears. We of Adam’s race weep at this titanic event that was needed to restore back the fabric of the fallen Universe. All the Universe could do was keep silence. But we humans, we weep, we cry, we groan and we are deeply touched and affected; for God has given us the ability to express with our tears the thought and the sight of this moment when Christ died for us, to give us the righteousness of God and bring us into the holiness of God. The fifth major event is when Christ rose from the dead. It shook and transformed the fabric of the Universe. It was not only the resurrection of Christ. It was like Christ had come into the very atoms and molecule of creation and transformed it. When Christ rose from the dead, He resurrected every atom and molecule and infused the nature of Christ in seed form into it. The blood of Christ was taken to the very Throne of God and it was absorbed and transformed and changed even the manifestation of the Ancient of Days. Although the word ‘changed’ cannot apply to God because God changes not, but it was like a new dimension of the revelation and the manifestation of God came through when Christ rose from the dead. With His blood sprinkled onto all the Universe, the life giving DNA of the expression of the fourth dimension of the Godhead came into everything and every single creation was touched from the twenty-four Elders to the four living creatures to the furthest atom and molecule of the Universe. As in Philippians 2:9-11 and in Revelations 4:8-11, every creature in heaven, on earth and under the earth sang with the glory of the new DNA of Christ. Now the Universe cannot contain what was revealed in Christ and there is a need for the new heavens and new earth to express all the fullness which is revealed in Christ. The seed of God has been planted in every atom and molecule of Christ and now awaits the new heavens and the new earth to reveal God the Father and Christ the Lamb of God. The sixth major event that shook the Universe was when the Ancient of Days decreed that it is time for the saints to take the Kingdom in Daniel 7:22 (released on the earth in our time dimension of 9-11 February 2015) and we the saints on earth, the glorious church responding to this by claiming that two thirds of the earth should be saved as is the pattern in heaven when two thirds of the Angels remained true to God. It was a Universe shaking event that caused every single Angel and Spirit Being to be re-aligned to expand and receive a new life and energising from God to make this possible on planet earth and in heaven. Every single life form has been redeployed to release this coming of age of the manifestation of the sons of God. The rise of the glorious church with the new glory of Jesus has been long awaited for since the beginning of time (Romans 8:18-19; Ephesians 1:4-5; 3:8-11). The seventh major event that involved the whole redeployment of the whole Universe is the second coming of Christ. All the Angels and Spirit Beings of the Universe march with Jesus in victory as He comes and brings the Throne room glory to planet earth. The extinguishing of all evil takes place (including those from the end of the millennium sent back by quantum time to the second half tribulation to be vanquished and exterminated at Christ’s second coming to planet earth). The last and final event would be the ripping of the fabric of the Universe at the end of the Great White Throne judgment, and the unveiling of the new heavens and the new earth with the Bride of Christ, the New Jerusalem, shining with the fullness of the glory of God the Father and of Christ the Lamb of God as in Revelation chapters 21 and 22. Is Our Fate Manipulated by False Controllers? I watched The Adjustment Bureau again. It is about the human race being watched over and manipulated by beings who can adjust fate and minds, and they serve the Chairman according to His Plan for them. One human managed to discover this truth and tries to escape his fate to create his own life. He has to outsmart those beings and manages to have the help of one of them. That “rebel angel” tells him the truth about how they operate as well as the fact that water can block out their ability to read people’s decisions. Similar to the Truman Show, The Adjustment Bureau tries to stop him from being with a girl that he loves (but not according to The Plan) and they create obstacles and “accidents” that make him decide to separate from her to keep her from being harmed. In the end, he manages to defy fate and be with her at the risk of being reset (artificially made mentally crazy). Then the Chairman rewrites The Plan to exclude them out of it so that they can live their lives according to freewill. Are We in An Artificial World by An Artificial Creator? I watched The Truman Show. It is about someone born in an artificial world created to make him the star of a TV show. Everyone else in it are actors. Everything in the environment are just props. He fell in love with one of the actress which is not the one intended for him to be with, and she tried to reveal the truth about his world but was taken away and fired. He was told that she was taken away by her father to another country. He ended up being married to the lead actress that Christof (the creator of the show) wanted him to marry. Eventually, Truman discovered more and more clues that there was something very wrong about his world. At one point he manage to find out a certain area he wasn’t supposed to go and saw the backstage setup with props and staff in it. He was quickly forced back out and was told they were doing renovations in that area. He was programmed since childhood to stay and not leave the world he was in. His fake geography teacher says there was nothing else that has already been discovered. His fake father was “killed” in a boat accident so he would always be afraid to leave by water. When he tried booking a flight, he was told there were no vacancies. When he wanted to take a bus, the bus driver would cause the bus to breakdown. He noticed that the people around him operate in a certain routine which was predictable and artificial. Whoever he talk to tells him he is crazy to think those thoughts and tries to misdirect him back to normal life. Finally, he tried to drive out of the country but there is a spontaneous traffic jam that develops. Then he pretended to change his mind and start to drive home. But then he suddenly change his mind again and drive back to the same road and saw the traffic jam had disappeared, and so he drove out and even across the water through the bridge. On the other side, there was a sign that says forest fire. He ignored it and continued driving. A fire was artificially started across the road but he drove right through and was fine. But he met other obstacles that were artificially created that made him fail to leave. In the end, he managed to get to the end of the world after almost being killed by artificial weather manipulation by the creator. He found that the boundary of the world was fake and he found an exit out of it. The creator spoke to him from the artificial sky through the PA system and told him that there was no more truth out there than there was in his world, but he would have nothing to fear by remaining in the creator’s world and by the star there. Truman chose to leave and the audience who was watching the show cheered, and his lover in the outside world came running to look for him. Important Genius Gift for You! Click Here Now to Get Your Genius Gift! Click to visit the Mind Reality Website! Discover the World of Mind Power that contains many insightful articles written by wonderful writers with a passion! 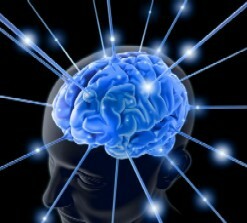 Click to visit Mind Power World! Learn Many Spiritual Truths that will Advance Your Understanding of God and the Universe to a Whole New Level! Click to visit Conscious Christianity! Get connected with Great Genius on the REALITY MAGI Facebook Page! I will post Great Genius Insights into Everything! Who we really are, is Genius God Creators of Our Reality. If you want to be part of The Great Genius "Gestalt - Consciousness", then LIKE this Page!